A plague has knocked civilization back to feudalism. The upper class creates fiefdom and very few retain the ability to read. The great cities have become toxic monstrosities, lethal to anyone to enters. Felix, the son of an indebted Baron, struggles to win the hand of Aurora, the daughter of a wealthy baron. So Felix sets off to make his fortune so Aurora's father will consent to their marriage. This book is about 60% descriptions with all of part 1 (the first five chapters) being nothing but description. It gets tiring. I don't think anything really happens in this novel until about halfway through it. We lots of description on the changes of the world. We get a lot of Felix and his brother, Oliver, making the canoe. We get a description of them at Castle Thyma, home of Aurora. Then the story finally starts. Once Felix sets off on his journey the story gets vastly better. He gets invovled in several wars and faces the dangers of London. Felix is out emo protagonist. He's great with a bow, but that is considered a footman's weapon. He studies a lot, but knights don't study! He's also very self involved. He only thinks about himself and it gets kind of irritating as he whines for large sections of the book. Oliver is Felix's older brother and a true knight. He acts as a foil to Felix, but he doesn't really do much. He gives some advice on the canoe and impresses Aurora's father. Aurora is Felix's love interest. She is the perfect woman. She's smart, beautiful and wealthy. She convinces Felix that she loves him and needs him. Her character could easily have been expanded into a fleshed out and interesting character dealing with a controlling father. However, she comes across as unrealistic and a bit naive. 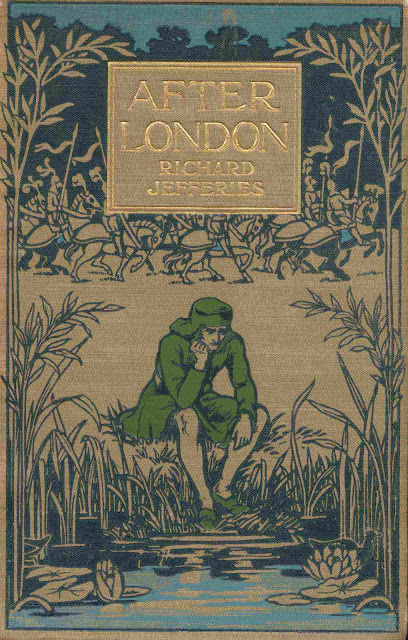 The descriptions of the river kingdom and London are where Jefferies is at his best. The rest of the description is a great example of "show don't tell" run amok. It is just too much. There is no narrative for the first quarter of this book. The end knocked this books score right back down. After the the beginning, it was a slow climb to me enjoying this book and I was... until the end. Because there is no end. This book does not end. 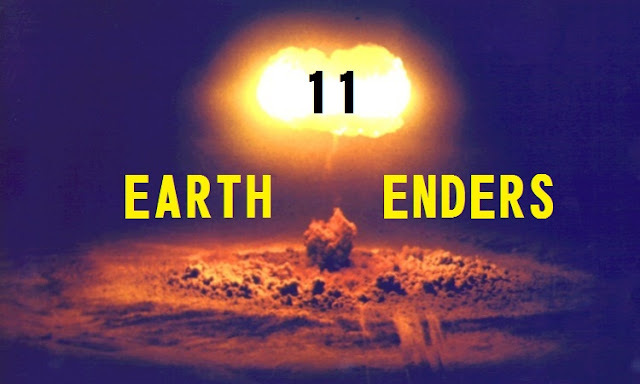 After spending five chapters describing the end of the world. He doesn't end the book! 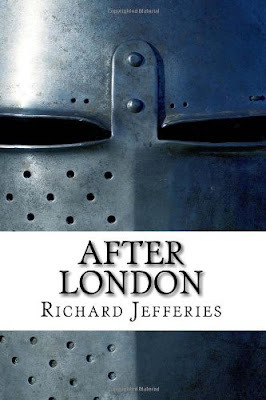 So, why didn't Richard Jefferies just write a medieval story? I don't know. This could have easily been one. However; him making it an Apocalyptic tale certainly improved its lifespan, so there's that. If you want to read a book about civilization adapting after a plague, then days 3 and 5 are much better reads. This one is definitely bargain bin material. The second of the four freebies. Get it from Project Gutenberg or Amazon.